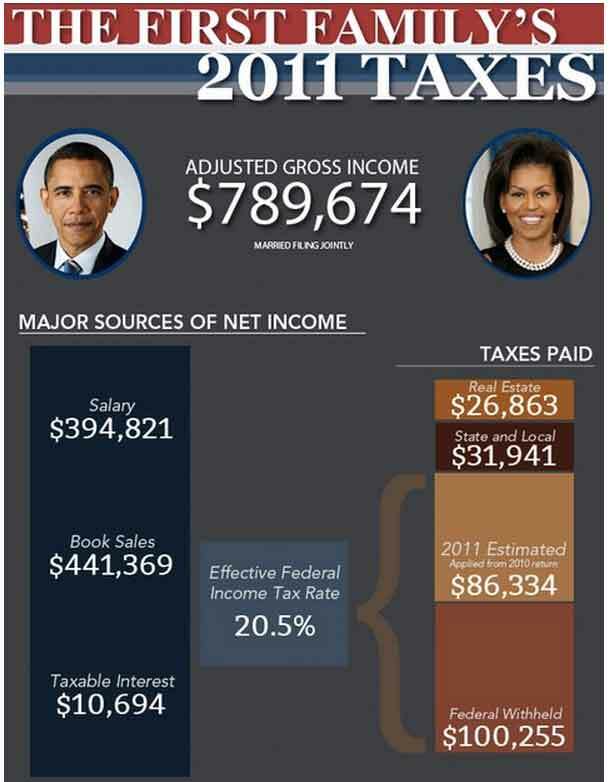 The Obamas paid $162,074 in total tax. 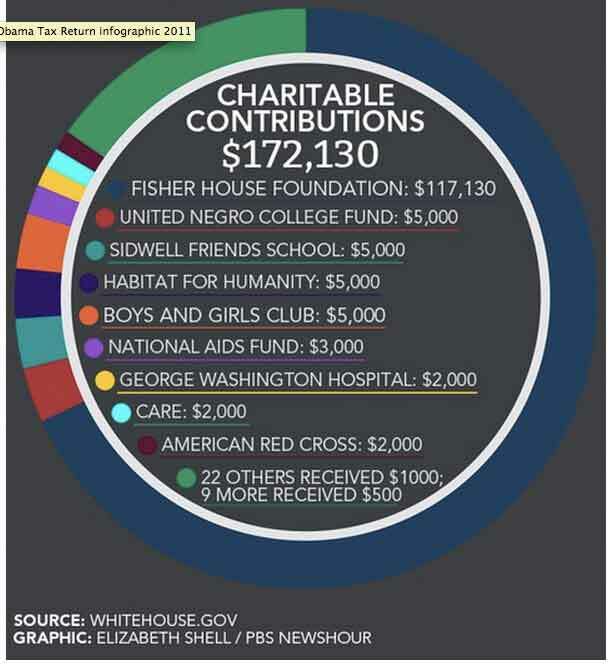 They donated 22% of their adjusted gross income to charity ($172,130). The money was given to 39 different charities. The largest gift was a $117,130 contribution to the Fisher House Foundation. The President is donating the after-tax proceeds from his children’s book to Fisher House, a scholarship fund for children of fallen and disabled soldiers. For Illinois state income tax they paid $31,941. hey there and thank you to your information ? I’ve certainly picked up something new from proper here. I did then again experience a few technical points using this web site, since I skilled to reload the website a lot of occasions prior to I may just get it to load correctly. I have been considering if your web hosting is OK? Now not that I’m complaining, however sluggish loading cases times will sometimes have an effect on your placement in google and could injury your quality rating if advertising and marketing with Adwords. Anyway I am including this RSS to my email and can look out for much extra of your respective intriguing content. Make sure you update this once more soon..